Bloodstock Open Air 2017 will take place at Walton on Trent in Derbyshire, UK on August 10-13, 2017. 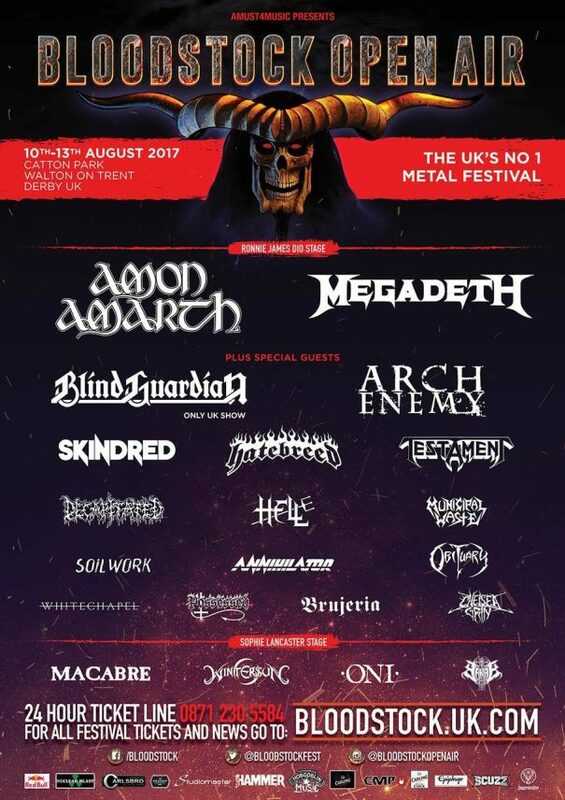 Amon Amarth, Megadeth and Blind Guardian are among the bands that will perform at Bloodstock Open Air 2017 festival. Full Weekend + Camping from Midday Thursday to Monday morning – Access to Arena from 5pm Thursday to Sunday inclusive.